Have a tricked out or custom motorcycle that you want to sell? A chopper? We want to buy it from you. Whether you have a sport bike with custom paint, custom pipes or any number of other custom features, we want to buy it from you when you need to sell your motorcycle fast. We pay fair prices for every bike we buy and we pay cash. We handle all of the details too. We will take care of bank payoffs, transfer of title and more. We come to you to buy your used custom motorcycle. 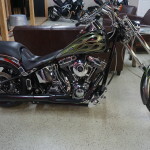 If you have a custom bike for sale, let us know about it and we’ll buy it from you. 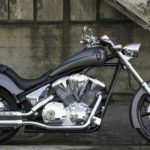 Sure, it will be hard to let go of a custom motorcycle, but think of it this way, you can build another one later on and when it’s time to sell it, we’ll buy that custom, tricked out bike or chopper from you.